"Mercurial: The Definitive Guide" takes you step-by-step through ways to track, merge, and manage software projects with this flexible, open source version control system. Used by Mozilla, Python, and various open source projects on Linux, Windows, Mac OS X, and several variants of Unix, Mercurial permits virtually an infinite variety of methods for development and collaboration, including both centralized and distributed version control. This guide starts with the basics, including how to work with a version repository. You'll learn to use Mercurial to collaborate with others, merge streams of work, manage releases, find and fix mistakes, and more. You'll also get up to speed on advanced uses, such as handling repository events with hooks, and customizing Mercurial's output. 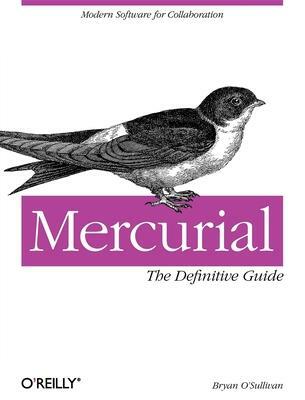 Like the versioning system it describes, "Mercurial: The Definitive Guide" has a strong focus on simplicity to help you learn Mercurial quickly and thoroughly. Bryan O'Sullivan is an Irish writer and developer who works with distributed systems, open source software, and programming languages. He wrote the award-winning O'Reilly title Real World Haskell. He has made significant contributions to the popular Mercurial revision control system, and to a number of other open source projects. He lives in San Francisco with his family. Whenever he can, he runs off to climb rocks.